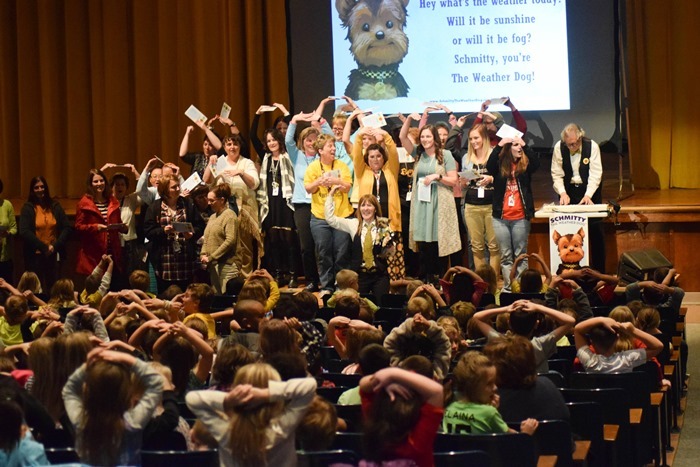 The Schmitty The Weather Dog Sing-Along Show Goes to WV! 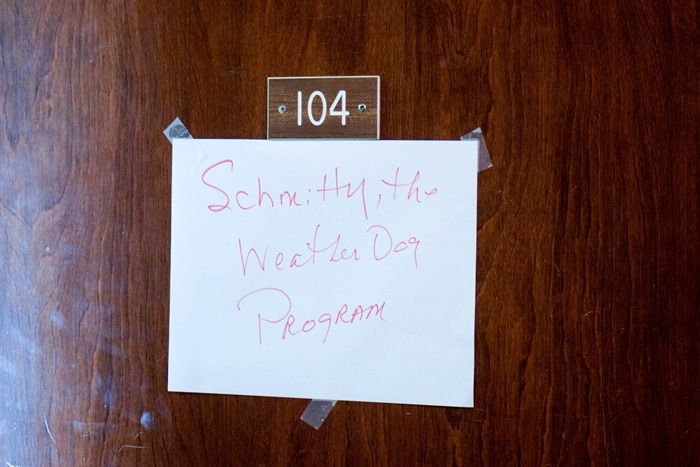 So we loaded up my Schmitty The Weather Dog jalopy and hightailed it to Keyser, West Virginia. Quite a ride. But totally worth it. 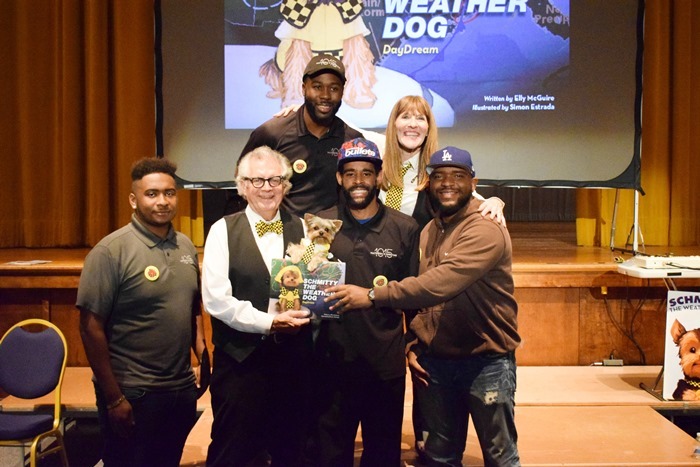 A pawsome non-profit, Highland Arts Unlimited, invited Team Schmitty The Weather Dog to appear at the University of West Virginia’s Potomac College campus to perform my Schmitty The Weather Dog Science Sing-Along Show for not one, not two, but 52 classrooms of elementary school humans! 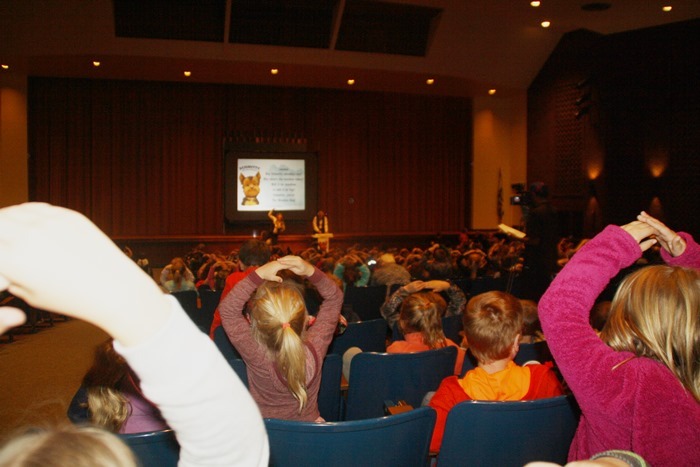 Yup, 52 classrooms of WV kids were bused in from all over to see my show and join in our sing-along science fun. A good time was had by all. But don’t take my word for it. Just check out the fun clips from the show on the video below! Arf-Arf! 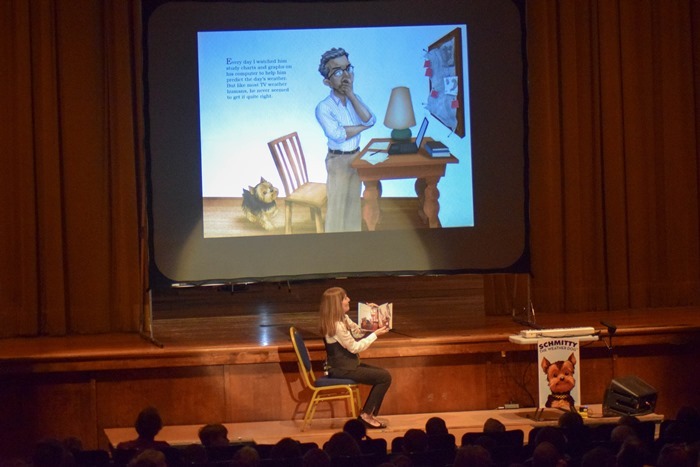 The West Virginia school kids were pawsome. And so smart. And their teachers were amazing too. Even the Mineral Daily News-Tribune did an article on my show . . .
Here’s a few pictures that made my tail wag . 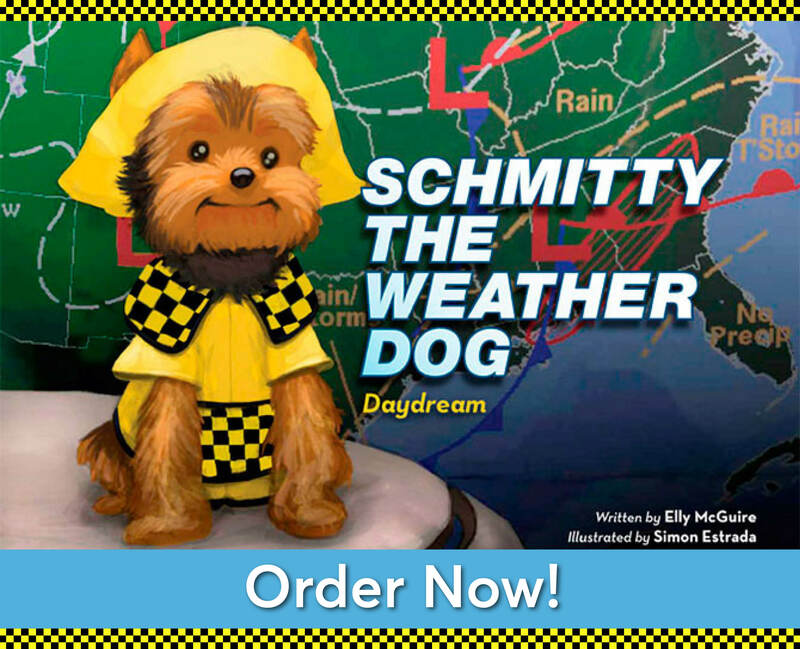 . .
You could hear a dog bone drop as Author Elly read my Schmitty The Weather Dog:Daydream book on stage. Who knew learning could be so much fun? Arf-Arf! Not a bad seat in the house! Arf-Arf! Bow Wow! 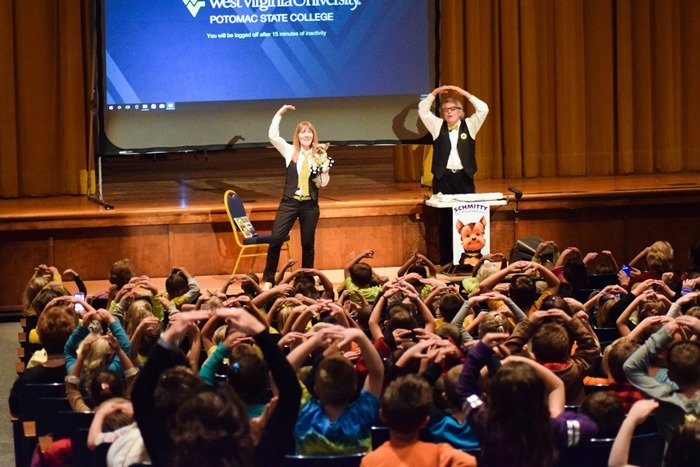 Even the WV teachers got into the act! 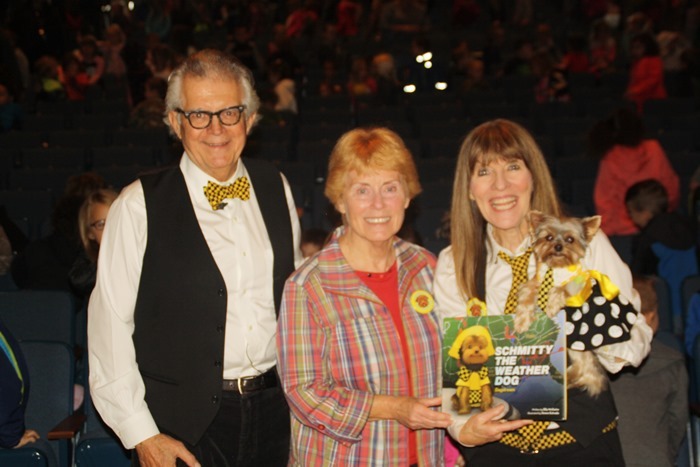 Paw-tographing a book for the one and only Dr. Charles, the founder and inspiration for Highland Arts Unlimited. 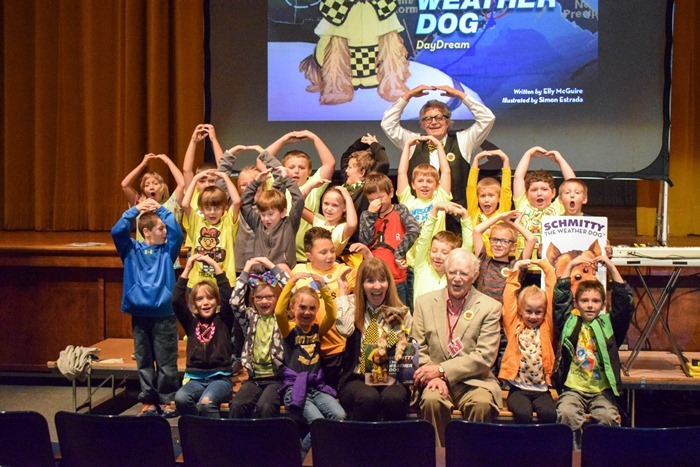 After the show, kids couldn’t wait to get their picture taken with Team Schmitty The Weather Dog & Dr. Charles. #Blush! Let’s hear it for my camera crew. Some really nice humans. Arf-Arf! Thank you, Ms Shirley, for inviting us to perform for the WV Mineral County kids. 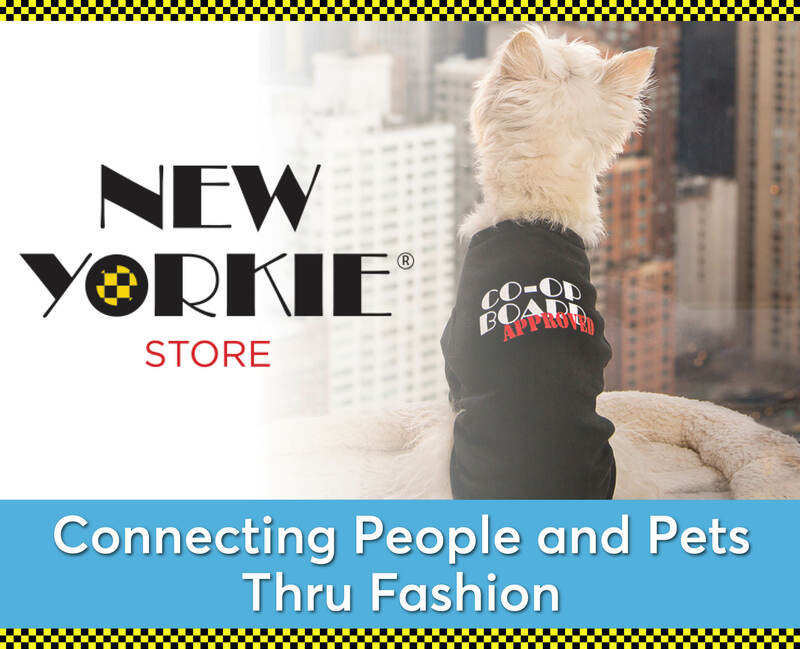 You rock/bark! West Virginia was almost heaven! 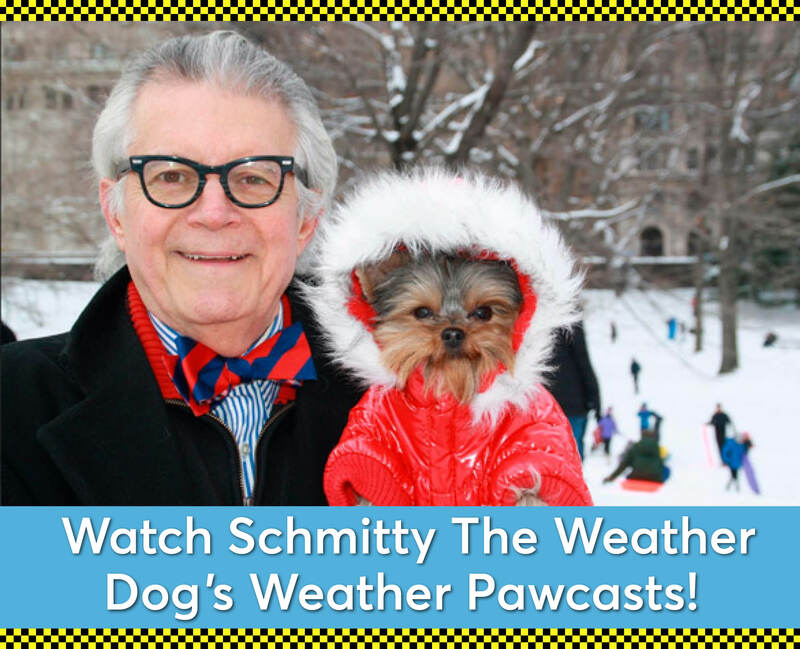 And I’m one lucky dog to be able to travel the country with my Schmitty The Weather Dog Science Sing-Along Show. Maybe someday I can come to your theater or school too?